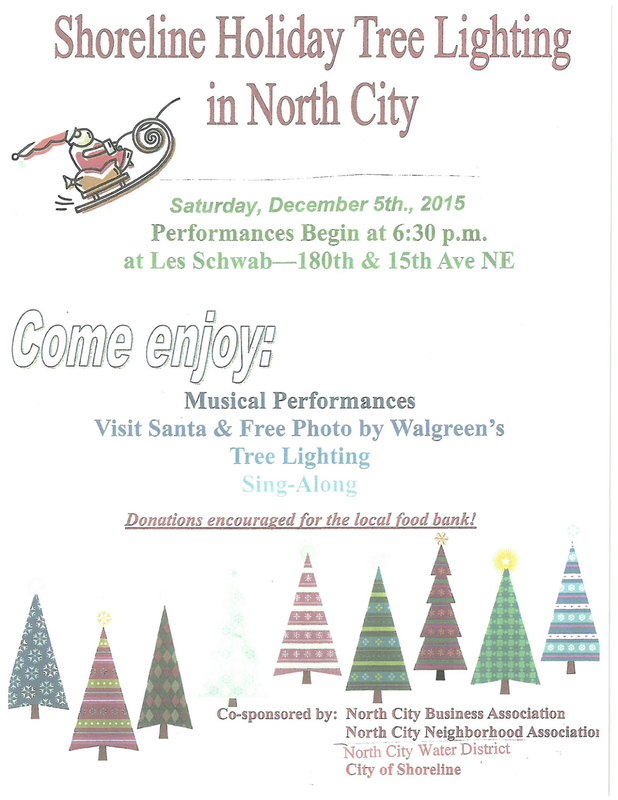 North City Business Association would like to cordially invite you all to attend our 18th annual tree lighting event at Les Schwab on Saturday, December 5th beginning at 6:30 pm. Santa will arrive in his custom "sleigh" to official light up the tree on top of the reservoir. 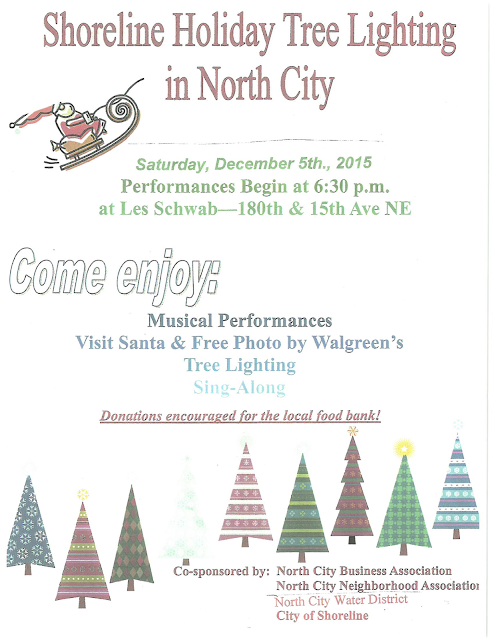 We will have coffee, cookies and photos as we join in the sing along. Donations for the food bank would be appreciated.